We do occasionally get less than perfect reviews, we’re human! Although we can’t promise perfection, we can promise that we will do all that we can to make it right for you. To read our unfiltered reviews, please click below. I was with another INFINITI dealership for over 15 years- that went bye bye once I met my sales rep Henry Zhu & Sales Manager, Jamie Fishbane! I had the opportunity to spend a few hours at Douglas INFINITI, specifically Henry & Jamie. Their customer service, ability to make me feel comfortable in the entire sales process, & their cordially honest ability to deal with people in a difficult process is undeniable. I was so happy dealing with them- they have a new INFINITI customer for life. 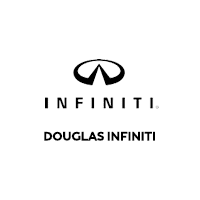 I do not live very close to them but I will always deal w/Douglas INFINITI for any reason. I am very happy with my car, the deal I received & the amazing customer service provided by Henry & Jamie. Thank You Douglas INFINITI (Henry Zhu & Jamie Fishbane. A respected dealership with a very talented and customer friendly staff. This dealership, their service, and staff are exceptional!@!!!!! At a time when customer service in general has declined across the country, Douglas INFINITI is in a class by itself. They accomplish this with super friendly and accommodating staff, text and phone call communication every step of the way, and attention to detail that I just have not experienced with any similar business. I am in the business of training managers and sales people in a different industry but any industry could take a page from this group and improve their customer service dramatically. Love this place! My late husband and I have owned four Infinitis and have always been more than satisfied with the cars and experience with the service department. The employees are kind, warm, helpful and sincere. This past Monday when I brought in my Q50, which is leased, for servicing, was no exception. I travel very little, but nonetheless the attention paid to me was outstanding and accommodating. They gave me a loaner for the day, which was very helpful as I had a number of appointments unlike ;my usual days. Clyde was the service representative and he was excellent. He was responsive and continued to contact me with service issues. He explained the issues in a manner that I understood (I am not into cars) and was considerate re my time and welfare. Always quick and friendly service. They always keep you updated on the work they do while they have the car! Jonathan was very helpful. He spent fine with me in advance making sure I understood all the service needs of my car. Rafael always cheerful at pickup. My experience with this dealership in Summit, NJ was pleasant. No stress, No high car sales pressure like Ray Catena in Edison, NJ, No games, straight forward and direct, brutal honesty. I bought a Q-50S- AWD- nice car- Ronnie was my salesman, Jamie assisted and Chris Ing worked the numbers. They made the experience personal. I would recommend them and the car Q-50S 3.7AWD, I love the car.... the ride, the features, the comfort and of course the speed and power which can get up and run when necessary. Went in for routine service and everything went smoothly and fast! The person helping me out was great and they didn't try to do any unnecessary work on the car. Fair pricing too! Highly recommend. Always a great experience and Anthony was very helpful - really took the time to get to the heart of the problem! Extremely friendly staff. Gil and Jamie were very knowledgeable, accommodating and patient. They went above and beyond to provide me with a great experience. I would definitely recommend them to anyone. John Lato is a friendly, young sales consultant new to the dealership who shows that he is there to serve you. He is very knowledgeable about the product and takes you on a thorough test drive. If you're deciding on an INFINITI, be sure to ask for John. He'll make the process very smooth and super simple! Carey Jackson is a top notch sales consultant. He guided me through the entire process from start to finish. He answered every question from how the features worked to the difference between the benefits of leasing and financing. John Lato is a friendly, young sales consultant new to the dealership who shows that he is there to serve you. He is very knowledgeable about the product and takes you on a through test drive. If you're deciding on an INFINITI, be sure to ask for John. He'll make the process smooth and simple! Carey Jackson is a top notch sales consultant, guiding you through the entire process from start to finish. Making sure to answer any question you have from features to the details regarding leasing a vehicle. Troy is a very knowledgeable sales person. He informed about my car and he was respectable and was not pushy. I enjoy working with him and I would recommend him to my friends and family.